While there are a small number of titles exploring Transactional Analysis in specific educational settings, there is no comprehensive account of this practical psychology for learning. 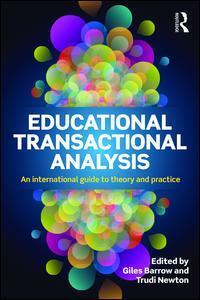 Educational Transactional Analysis draws together a team of contributors from the international educational TA community, offering perspectives from Europe, India, South Africa, Australia, Japan and the United States to explain and illustrate the practice of this exciting development in education. Aimed at educators in all contexts, researchers, students and trainers, this book will be an essential resource for those that wish to deepen their understanding of educational TA or are involved in formal TA training.